Back in the 15th century bubonic plague hit England and its surrounding areas. Known as “black death”, it was thought to be spread by the fleas on rats. Legend says that there were 4 thieves who were able to go into the homes of those infected without getting sick themselves. When the thieves were caught, they were offered a lighter sentence for their crimes in exchange for revealing the “magical formula” they used to keep themselves healthy during this outbreak. According to legend, the “original” formula was herbs steeped in vinegar, and was rubbed over the neck and ears before approaching a person who had the plague. The story has just as many variations as there are recipes for the formula. 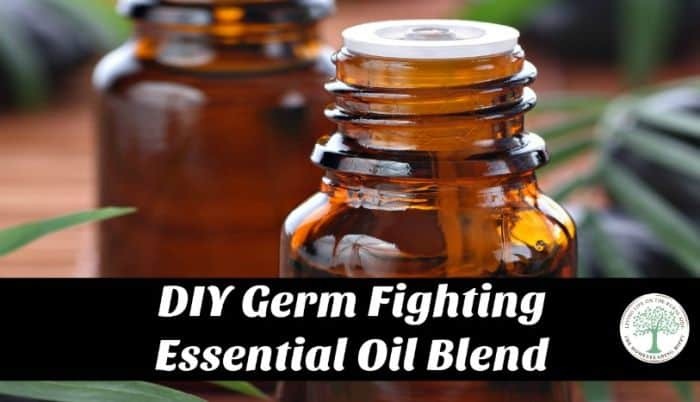 It’s a fun legend, and the oils used in this blend are known for their anti-bacterial and anti-viral properties. There are several ways you can incorporate this anti-microbial blend in your daily routine. Add 7-10 drops to your diffuser and allow to diffuse for 3 hours. Add 20 drops of the blend to 3 Tablespoons carrier oil in a roller ball. Apply to neck and back of ears. Add 50 drops of the blend to a spray bottle with 2 ounces of vokda or rubbing alcohol and use as a anti-bacterial surface spray. Add 30 drops to a gallon of hot, soapy water to disinfect floors, toilets, or the shower. What are some ways you would use this blend around the home? Be sure to pin this for later!